The Licking River Beekeepers Association will be hosting the Northeastern Kentucky Beekeeping School from 8:00 – 3:30 ET on Feb. 24, 2018. The school will be held at the Maysville Community and Technical College (1755 U.S. Highway 68, Maysville, KY). The keynote speaker will be Dorothey Morgan, President of the Kentucky Queen Bee Breeders Association, Inc. 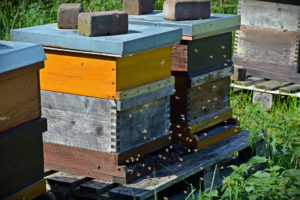 Classes will cover all aspects of beekeeping. See the class schedule below for more details about the classes. Pre-registration is $20 for adults. The deadline to return pre-registration forms is Feb. 22. Registration at the door is $25 for adults and $7.50 for ages 12 and under. Lunch is included. Please check their Facebook page for additional information and pre-registration form. Email questions to loribob10@hotmail.com or call Bob Fore at 606-247-5817.